Fighting in the light heavyweight division for the first time in his career, Anthony “Lionheart” Smith will enter his new division by facing a former champion. At UFC 225, Smith will take on former light heavyweight champion Rashad Evans in what could be a launching pad in his new division and his larger career. Facing the former champion is something Smith has prepared himself for, and he believes that he’s in the best possible place to get a win as he debuts in the light heavyweight division. I’m feeling really good, i think the timing is perfect. i can’t see 185 pounds again, i can’t make the weight and still beat these top guys. at the end of the day, i just don’t want to do it to my body anymore. i just feel better at 205, i’m just happier. With plenty of conversation being had about the weigh-in situation with the UFC, Smith says he’s against changing the current system where fighters have the early morning weigh-ins. I think going away from early weigh-ins is a mistake. i wish there was a bigger window of time for fighters to step on the scale. 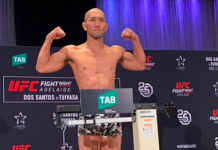 until they do it like how one fc does it, there’s going to be problems with weight cutting. 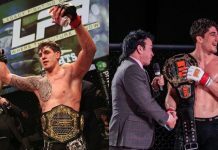 Facing a legend like Rashad Evans could be a fight that some fighters shy away from or turn down, but Smith says the opportunity to face Evans proves that he belongs to fight against the very best in the world. fighting someone like rashad is an honor, beating someone like that, getting someone like him on my win record is a big deal. it’s an honor to fight him and i’m really excited to do so. this fight will show i can fight against the best. With every fight comes a bit of talk leading up to it and for this one, both guys are coming from the complete opposite of each other. 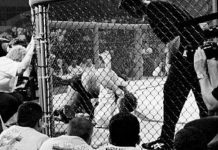 As Evans approaches the later stages of his career, he opened up about how fighting has changed him as a person, and Smith said that those comments threw him off. those comments were a little bit strange to me. as fighters get older, they’re going to change. their minds are going to change. the way they approach fights are going to change. i wanted to get a little bit more of a raw rashad, i wanted him more angry. a lot of people took the things i said about him like i was talking trash, i didn’t want it to look like that at all but at the end of the day i don’t really give a sh*t what he thinks. i respect him, i’ve looked up to him my entire career, but i don’t give a sh*t what he thinks. 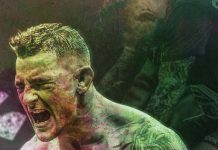 When he steps into the Octagon and the cage door closes, Smith said his mission is to make sure that the world watching is going to see what those around him already know. i want to show everybody what my coaches and i already know, i’m one of the best in the world. i’m making a run for the title, this isn’t just hanging out trying to be the best i can. when i leave the cage on saturday, people are going to say that i’m a future champion. 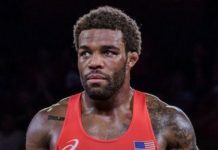 With a plan in place for his opponent and a new beginning in the light heavyweight division, Smith already has some future plans in place following his fight against Evans. i like the shogun fight and i like the ovince saint preux fight a lot and sam alvey is always a fun fight. more than the person though, it’s the time. august 25th, lincoln, nebraska, there’s a fight night. i made my pro debut in september 2008 two blocks away from that arena, and i want to be on that card. this fight [vs evans] and then lincoln, nebraska. that’s the right time. The light heavyweight division could use some fresh faces and a fighter with a plan is always the most dangerous one. 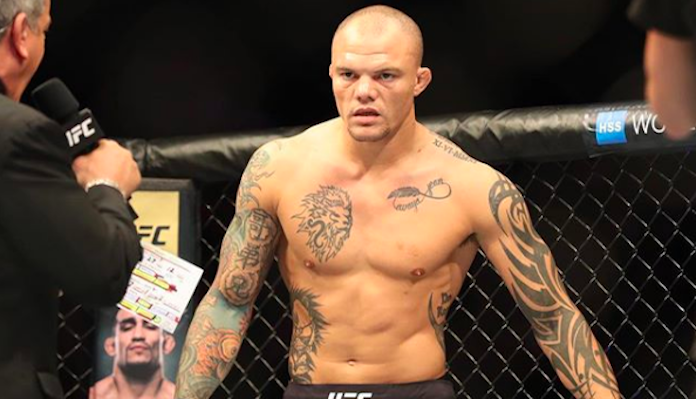 Anthony Smith doesn’t just have a plan for his fight against Rashad Evans, he has a plan for his future opponents, and he has a timetable for his immediate future. Given all that he has in front of him, Smith might just be the face and name that the light heavyweight division needs.